The centre of England’s Victorian woollen trade, Halifax has a weaving history that goes back to the 1400s. 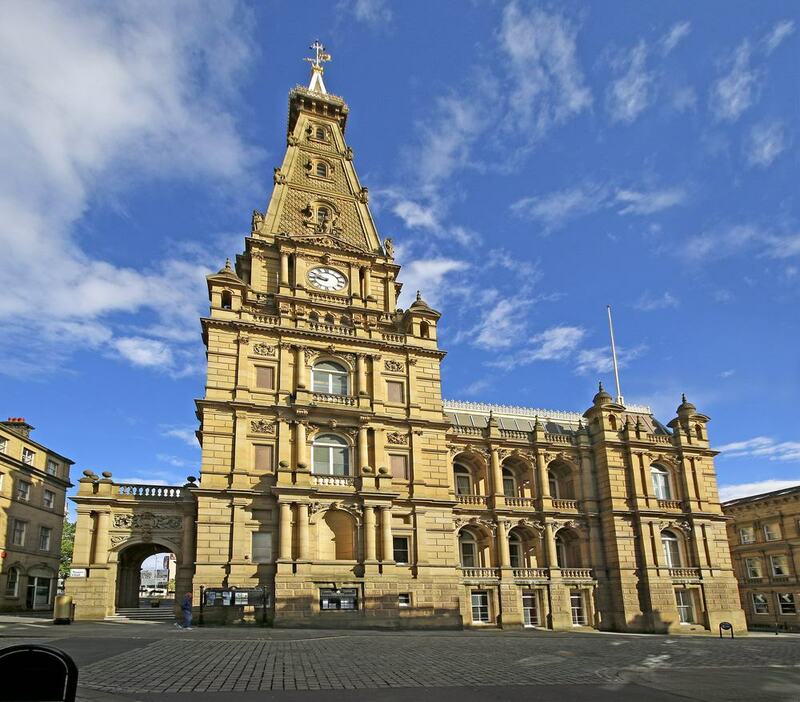 This industry went into overdrive in the 18th and 19th century, bestowing Halifax with some eye-catching monuments, from the princely Piece Hall to the many striking industrial relics still standing. 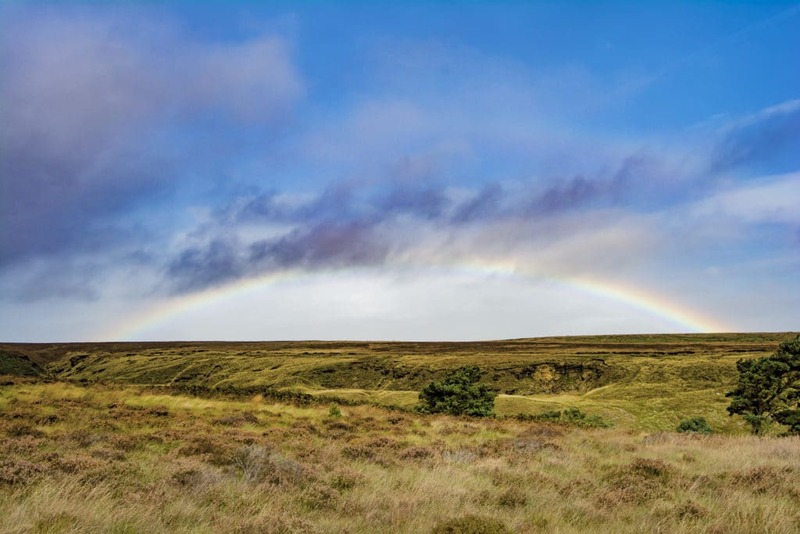 One sight not on this list is the mammoth Dean Clough, once the largest carpet factory in the world at 800 metres long and now a hotel and business park. In Halifax you’ll get to know some fascinating historical characters like Anne Lister, the first modern woman to identify as a lesbian, and the Crossleys, a powerful carpet manufacturing family whose impact on the town is tangible more than a century later. There’s never been a better time to see the Piece Hall, as this Georgian wonder in the centre of town has just completed a £19m restoration project. Built with arcades and two floors of galleries around a gigantic central courtyard, Piece Hall dates from 1779 and was a place for handloom weavers to sell their cloth. It is the only surviving intact cloth hall and the UK’s finest monument to its old woollen trade. Since the restoration the courtyard has become a sociable piazza, fringed by shops, restaurants, bars and town amenities. There’s also a new heritage centre, painting a picture of Georgian life in Halifax and an art gallery for temporary shows. And, as in the past, the courtyard is a magnificent space for outdoor gatherings, performances, fairs, conventions and more, throughout the year. On Halifax’s northeast side is a 15th-century historic house in a spacious public park. 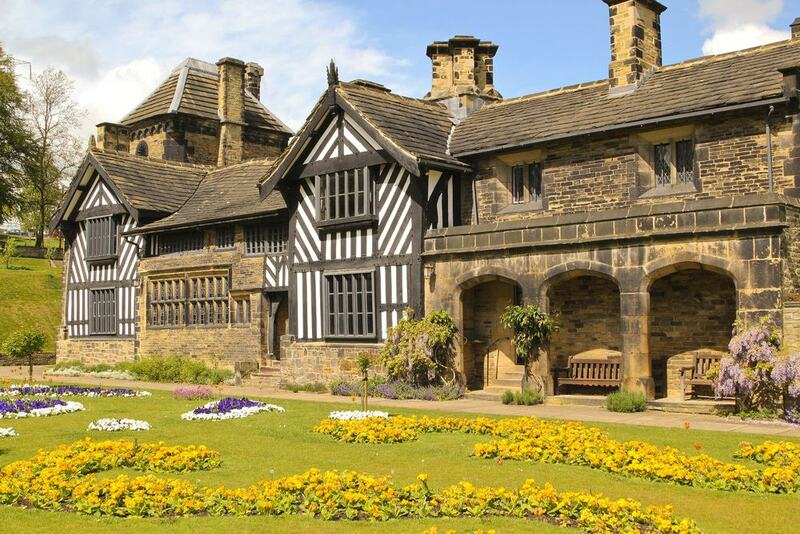 Shibden Hall’s oldest architecture dates from around 1420, but the families that have lived here over the last 600 years have all added something to the property. You can spot the coats of arms of three early families carved into the stone of the splendid 20-light mullioned window. The most famous resident was the 19th-century diarist Anne Lister, who chronicled her life in rich detail, including relationships, and has become known as the “first modern lesbian”. At the time of writing in 2018 a BBC series was being made about her life. The barn next door dates from the 1600s and showcases the traditional Calderdale trades, with a blacksmith, copper brazier and wheelwright. You can also size up a historic carriage collection and enter an old-time inn and brewhouse. This picturesque, rambling landscape in the Shibden Valley harks back to the time of Anne Lister in the early 19th century. Since 1850, the flowerbeds on the terrace fronting the house have been designed like the pattern on a Paisley Shawl. The hall’s terrace walls have tunnels through them, and these lead to the estate’s old kitchen garden at Cunnery Wood. The old orchard has been replanted to reflect the variety of tree species growing here at the turn of the 19th century. You can go for a trip on a rowing boat over the Mere, which was drawn up to look like a river coursing through the valley. On top of this, kids can take a ride on the miniature train and explore the play area, while families can play a round of pitch & putt. There’s also a busy programme of craft fairs, workshops, storytelling and live music on the estate all summer long. Geared towards children up to the age of 11, Eureka! is a hands-on museum with more than 400 interactive exhibits in six different zones. 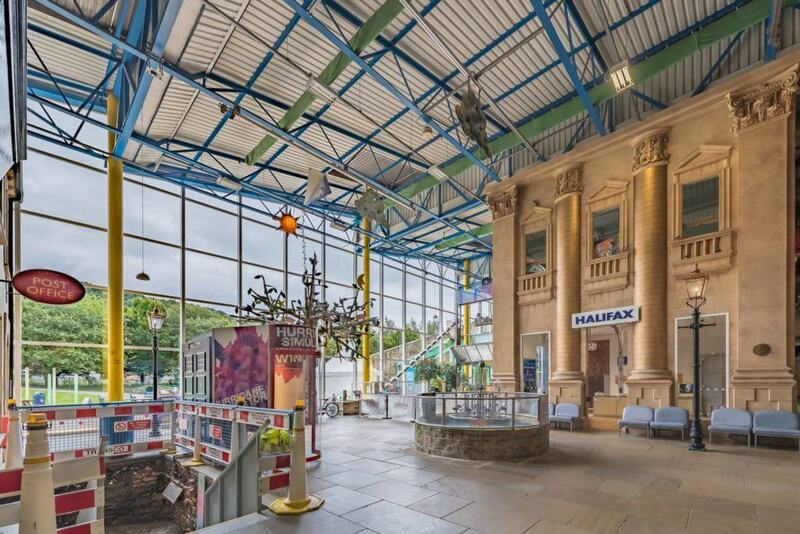 Set on what used to be British Rail land next to Halifax Station, the attraction was founded in 1992 and is inspired by children’s science museums in the USA. Kids are introduced to concepts like music, sound, employment, weather and even economics in fun and engaging ways. In the last five years two new galleries have been added: All About Me, dealing with the human body and health, and the Spark Gallery, which hosts short-term exhibitions. Outside is The Beach, a huge sandpit, and The Wonder Walk, a sensory trail. The town’s parish church was upgraded to a minster in 2009 to recognise its importance to civic and religious life in the town down the years. 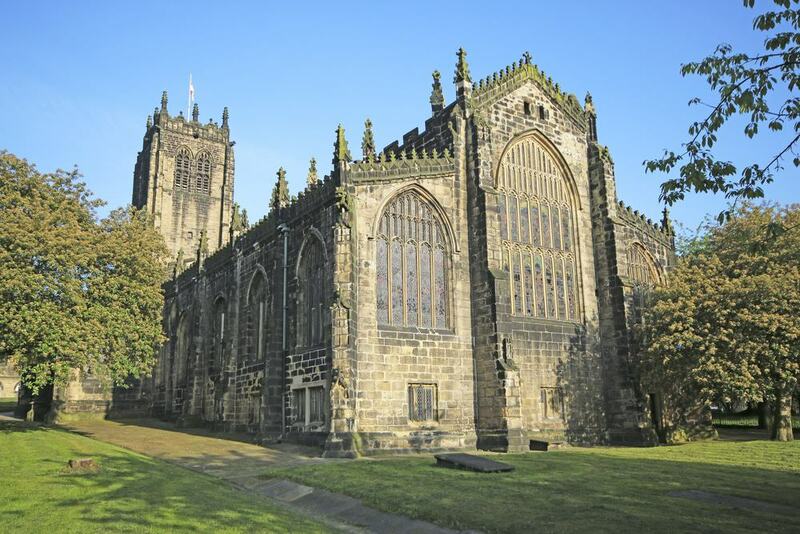 The Halifax Minster as we see it is Perpendicular Gothic, but signs of the earlier buildings can be found in the porch’s 12th-century ledger stones and chevron stones. The north wall of the nave is thought to be Norman, and has windows in the Early English style from the turn of the 13th century. One fixture you can’t miss is the exuberant Gothic font cover, crafted to stop people stealing the font’s water. The 15th-century sedilia in the sanctuary has three 15th-century misericords, and there are six more in the chancel’s return stalls. Also see the 17th-century altar rails, two royal coats of arms of Queen Anne from the early 18th century and the glorious panels in the ceiling, first painted at the turn of the 18th century. 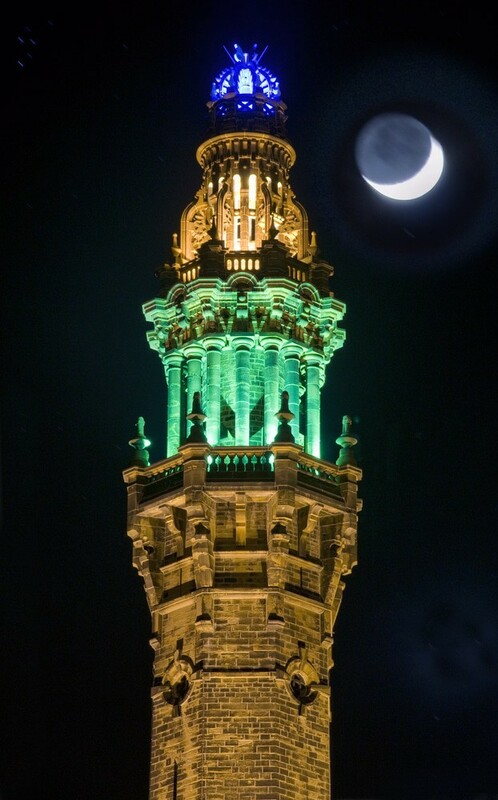 At 84 metres the Wainhouse Tower is the tallest folly in the world. This octagonal monument towers over the Calder Valley to the west of Savile Park. It was intended as a chimney for a dye works, and owes its height to the Smoke Abatement Act of 1870, which required chimneys to be tall enough to stop smoke filling the valleys below. The chimney was completed in 1875, but the mill was never built, and so it was turned into an observation tower and fitted with two elaborate Neoclassical platforms beneath a corona dome. There are 403 steps up a tight spiral stairway to the viewing gallery at the top, which is open on bank holidays. If you’re eager to make the climb outside opening hours you can arrange a private visit with the council. 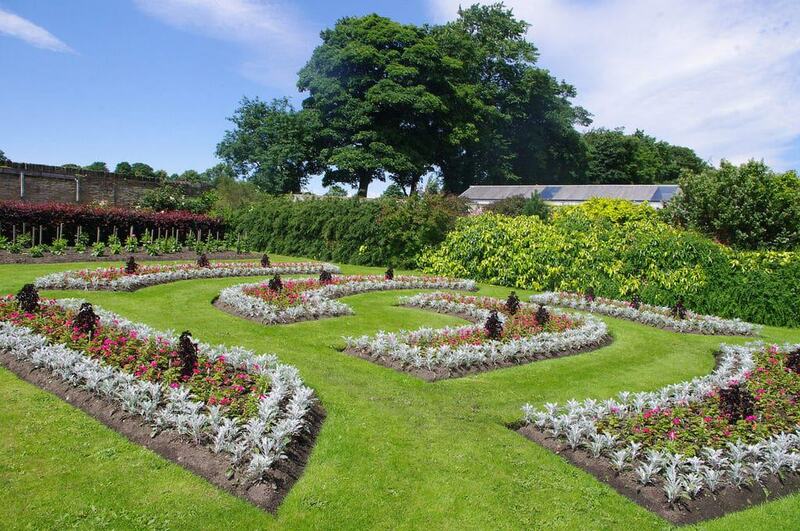 A mile to the south of the town centre is Manor Heath Park, an annual Green Flag winner on the grounds of a former manor house. In the 19th century this was the home of carpet manufacturer John Crossley, and was visited by royalty like the future Edward VII in 1863 and George V in 1912. After the estate was given to Halifax in 1929 the house fell into disrepair and was later demolished. The site of that building is now a formal sunken garden, while the estate’s walled garden has become a demonstration garden growing chrysanthemums and dahlias in summer. There’s a water play area in summer, an outdoor gym and the Flutter Bites cafe, which has a relaxing covered patio. 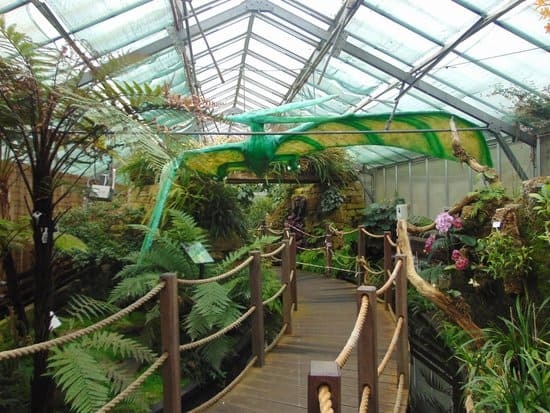 For just £1 you can head inside Manor Heath Park’s greenhouses, which have been turned into a tropical attraction. Growing in this humid environment are banana plants, orchids, tropical water lilies, birds of paradise and many more exotic plants that you can admire from raised wooden walkways. These will lift you over terrapin ponds, past the carnivorous plants of the Savage Garden and carry you through the Time Zone, which has a chronology of 400 million years of history, showing how plants and animals evolved from primitive organisms to dinosaurs. The Butterfly Garden has a host species flying freely around you and collecting nectar from tropical plants. 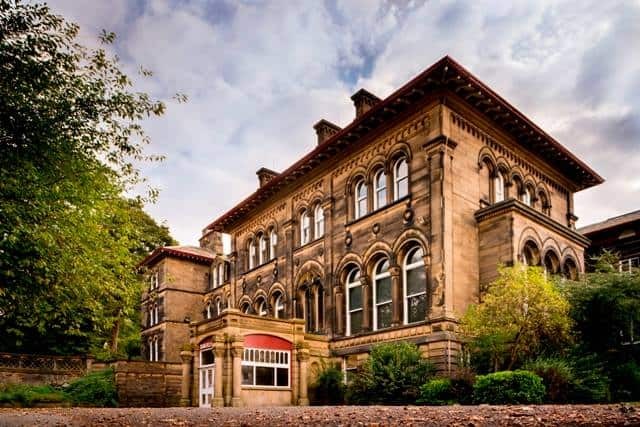 The museum for Halifax and Calderdale is in a regal former mansion, mostly developed by the mill-owner and MP Edward Akroyd in the 19th century. He donated the building and its parkland to the town when he retired in 1887 and it has been a superb free attraction ever since. The Bankfield Museum’s collections are large and very diverse, from the military equipment of Halifax’s Duke of Wellington’s Regiment, to toys, Egyptian antiquities, sculpture, Japanese armour, painting, jewellery and local ephemera. Textiles are of course prominent in the displays, and you can pore over large assortments of embroidery, quilting, costume, textile art and fabrics from around the world. As of 2018 this first-rate museum in a 19th-century weaving mill is run completely by volunteers and only opens on Saturdays. It’s an impressive resource that deserves a bigger audience, not least because some of the machines inside are the last surviving examples of their kind. Lurking in the basement is “Sadie” a large oil engine, and the source of power for some of the museum’s drills, planes and lathes. 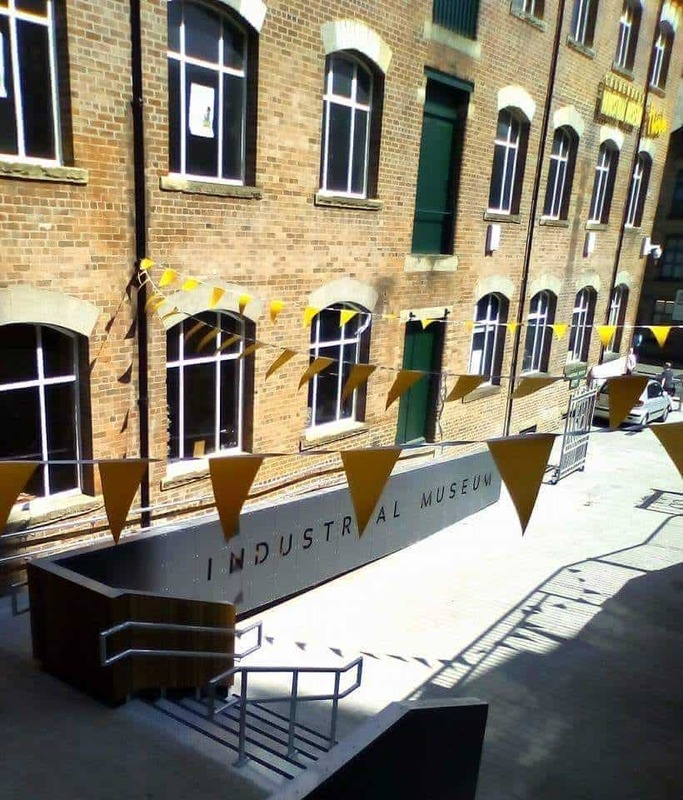 This is accompanied by exhibitions about the different industries in Calderdale, like textiles, coal mining, quarrying and clay extraction. Above, on the ground floor is the Power Gallery, recalling the evolution of power generation, from waterwheels to steam and electricity. On the first floor you can inspect the types of textiles manufactured in Calderdale from the mid-19th century, including brands that gained national renown, like Crossley’s Carpets. The theatrical town hall was built with 24,000 tons of local Ringby sandstone in the early 1860s and is topped with a 55-metre tower. The main architect was Charles Barry, most famous for the Houses of Parliament in London. Charles passed away in 1860 before work was started, and his son Edward Middleton Barry completed the design. Standing on Crossley Street at the foot of the tower, you can make out the figurative sculptures by long-term Barry collaborator John Thomas (known for his sculptures of every English monarch at the Houses of Parliament). These evoke Asia, Europe, North America and Africa. The town hall can normally only be seen from the outside, but it does open on heritage open days, when you’ll get to see the stunning Entrance Hall, Council Chamber and Victoria Hall, all illuminated by magnificent stained glass. 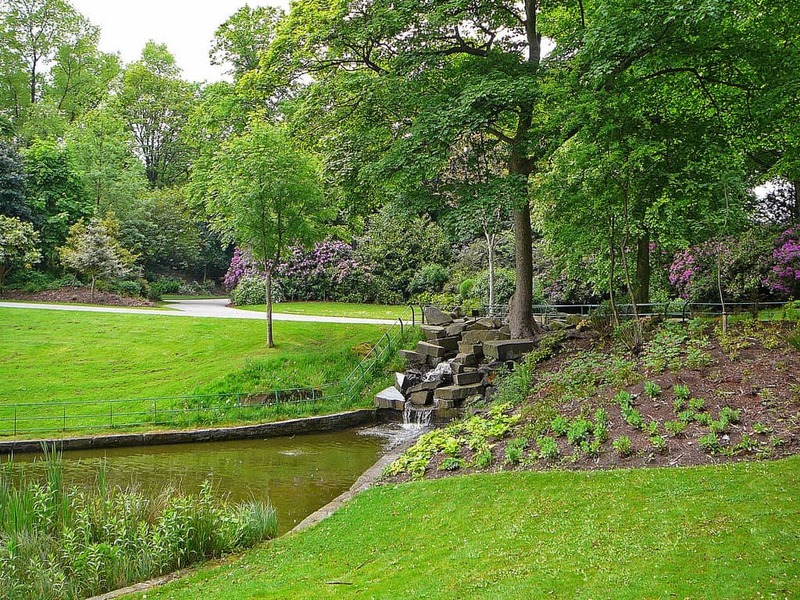 A gift to the people of Halifax from the carpet manufacturer Sir Francis Crossley in 1857, the People’s Park is an opulent 12.5-acre open space in the middle of a conservation area. After a trip to New England Crossley was inspired to build a park where people could take refreshing walks amid art and nature after hard days at work. The result is an Italianate formal park, with a balustraded terrace, urns and statues of Greek mythological figures like Diana, Hercules and Telemachus, as well as Sophocles. At the centre of the terrace is the regal Crossley Pavilion, while below, surrounded by lawns, you’ll find the dainty copper-roofed bandstand. Halifax’s Borough Market is a late-Victorian wonder, unveiled by the future King George V and Queen Mary in 1896. The building is Grade II* listed, with bold Eclectic facades and a wrought iron and glass canopy. With its splendid central clock, vaulting ceilings, original Victorian shopfronts and painted iron framework the building would be a must-see on its own. 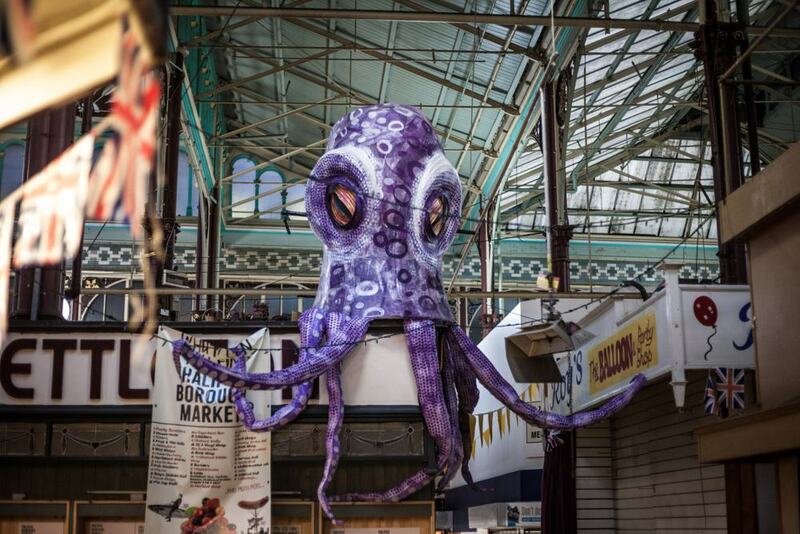 But it also hosts an award-winning covered market, open Monday to Saturday, 09:00-17:00. If you’re staying in self-catering accommodation you could get all your grocery shopping done in this quaint period setting, browsing stalls for fruit and vegetables, meat, fish, pastries, charcuterie, relishes, olives and lots more. You can also get hold of sweet treats like toffee and fudge, and hot options like pies, Thai street food and crêpes. If you have a taste for the macabre, you’ll be keen to see the Halifax Gibbet off the namesake street near the town centre. Dozens of people were put to death at this very place, by an ancestor of the decapitation machine that stands here now. 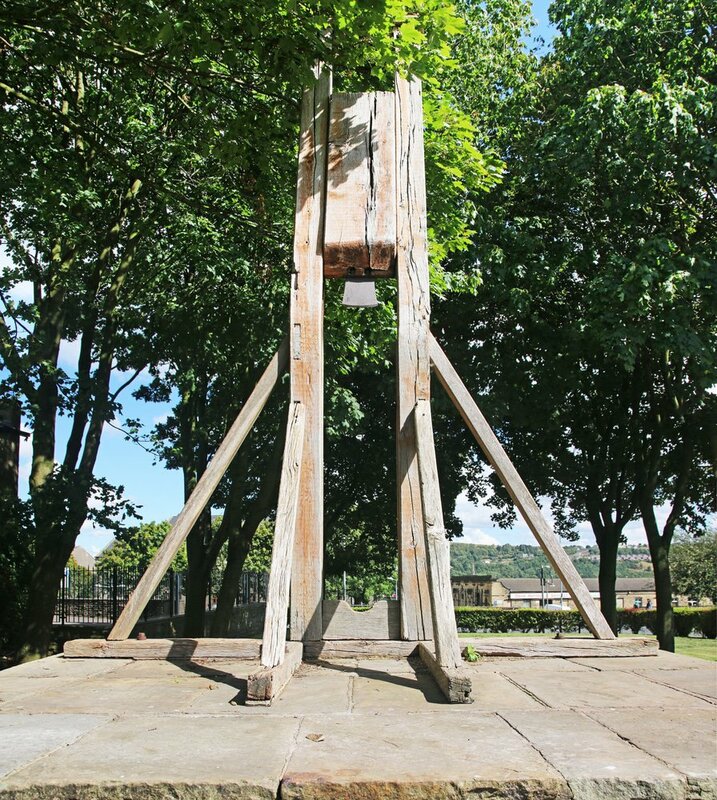 The Halifax Gibbet, introduced around the start of the 16th century, was a forerunner of the guillotine, with a blade held in place by a wooden frame. This would be released from above by removing a pin or cutting a rope. The Gibbet’s stone platform was rediscovered in 1840, almost 200 years after the last execution. The (non-functioning) replica was built in 1970, and a plaque records the names of 52 people known to have been executed at this spot. 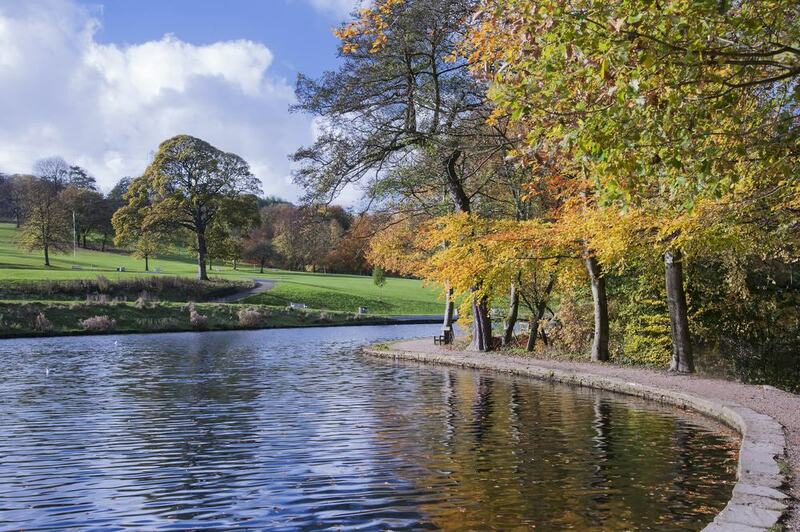 Some 150 acres of coniferous and broadleaf woodland around a reservoir, Ogden Water Country Park is an appealing patch of the Calderdale countryside. Ogden Water won a poll of Yorkshire’s favourite reservoirs in 2018 and is an easy day out at only four miles north of Halifax. There are waterside trails in the shade of the woodland, and romantic picnic spots with dreamy views. The visitor centre is open daily, from 10:30 to 15:15. As well as tea, coffee and sweet snacks like gingerbread you can buy special feed for the reservoir’s waterfowl.